Please recycle used clothing, eyeglasses, toys, appliances, books, furniture and other items in good working condition by donating them to your favorite charitable organizations. We know it is very disappointing that we are no longer able to recycle glass with all the other recyclable items. Unfortunately, this is because the glass breaks and shards of glass get mixed in with all the other plastic and paper recyclables. Once the shards of glass embed in the other paper and plastic items, they cannot be separated. This basically ruins not only the glass, but the paper and other plastics as well, making the whole bag of recyclables un-able to be recycled. If we keep accepting glass mixed with other items, once the glass breaks, all the items in the same bag/bin are being thrown into the trash. In an effort to keep the entire bag/bin of recyclable items from being thrown in the trash, we removed glass from our program. So for now, all glass must be disposed of with the garbage. By removing the glass and keeping it from breaking and mixing broken shards in with the other recyclables, we are now at least able to keep recycling the paper, plastic and also the metals. Needless to say, there are not even any local recycling businesses that will accept glass. That is the problem: when no recycling facilities will accept the broken glass mixed with other items, the waste companies have no choice but to throw the bags into the garbage. In some places, waste haulers are still accepting glass, but often the glass is still not being recycled. Instead, the glass is being re-used as road base to drive on the landfills themselves, but none of it is being recycled into new glass products. There are a few glass recycling facilities that still accept glass, as a separate item, but they are quite a distance away. We are fully committed to trying to find a way to recycle our glass. We are working together with Erie County, several neighboring municipalities and all four of our local universities to try and find some solutions. 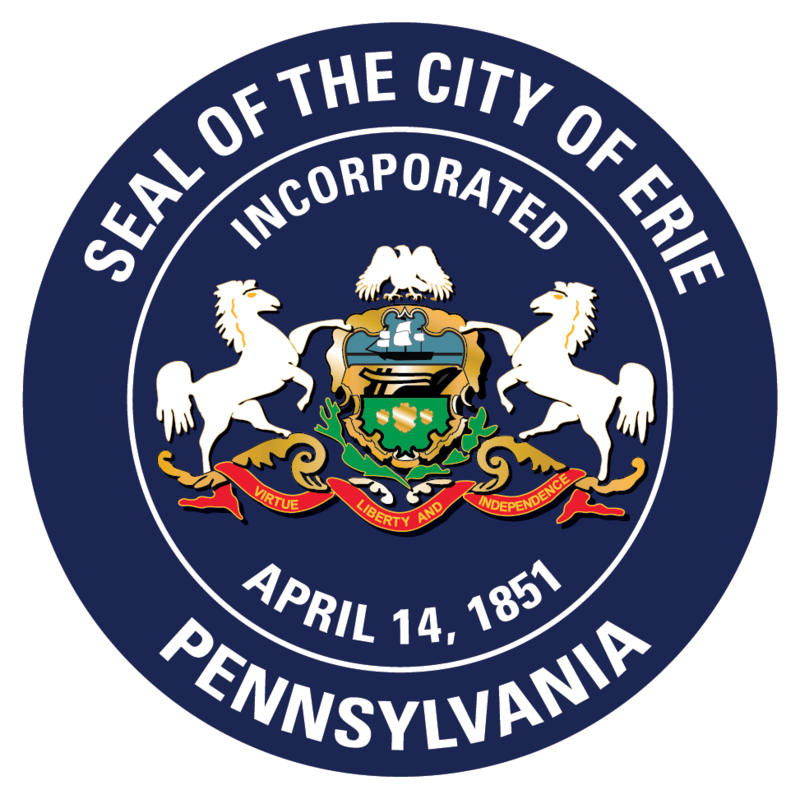 We have already formed a committee and have met several times looking into several different options in regard to recycling glass and what the future of recycling will look like in Erie and across the whole state of Pennsylvania. Unfortunately, we also had to change what plastics we can recycle. Due to the current market, there are no recycling facilities that will accept plastic items that are made using injection molding and only certain plastic items that are made using blow molding have a value to be recycled and used by potential plastic buyers. The plastic items that are recyclable are any plastic item with a threaded or screw-top lid, which are mostly #1 and #2 plastics. These items are BOTTLES, JUGS and JARS, (such as: water bottles, laundry detergent jugs, and peanut butter jars). We cannot collect an item for recycling, unless we have an end user who is willing to purchase and recycle that item. China used to accept most of the #3, 4, 5, and 7 plastics, but it turns out that most of these plastics were not actually being recycled. They were mostly being burned for fuel. For 2019, we are still accepting shredded paper. However, any item smaller than 2 inches will fall through the grates and up as garbage. Therefore, shredded paper should be placed in its own blue/clear bag, separate from any other materials, so it can be pulled aside. Junk mail is also still being accepted as long as it is larger than 2” x 2”. Envelopes are also accepted, but no plastic windows. Here is link to a really good article that helps explain some of the issues and what we’re dealing with. Thank you for caring about recycling. Have your installer remove the carpet. Cut the carpet into small pieces and place in bags curbside on your regular refuse pickup day. All corrugated cardboard must be flattened and tied. Do not place boxes inside of boxes, or place paperboard (tissue, cereal boxes, etc.) with corrugated. Remove packaging such as plastic wrap and Styrofoam and dispose of properly. If the box is larger than 4ft., break it down. If the boxes are not flattened, it takes three items more space in the truck. Place next to your blue recycling container. Other Appliance Stores certified to remove freon. Once the Freon is removed, you must take it to Lincoln Metal or Liberty Iron. Corrosives: drain cleaners, rust removers, oven cleaners; Flammables: gasoline, kerosene, butane, oil base paint, paint thinners; Toxics: pool chemicals, pesticides, insecticides, herbicides, rat and mouse poison, flea collars, roach and ant killer, window cleaner, furniture polish, antifreeze, brake fluid, fluorescent lights, mercury, etc. Latex Based Paint: Remove lid and let the contents air dry in your garage or basement or add a waste paint hardener or cat litter. Make sure the open can is out of the reach of children or little critters. When paint hardens, dispose of paint with refuse, the can, with the lid off, can be placed with recyclables into a blue bag at curbside. *They accept newspaper, phone books, paperback, and comic books. *Only accept foam packaging, Styrofoam board, foam peanut packaging, and the products must be white in color and clean.